Well, I can understand the sentiment, but this is not what I would call professional at all. 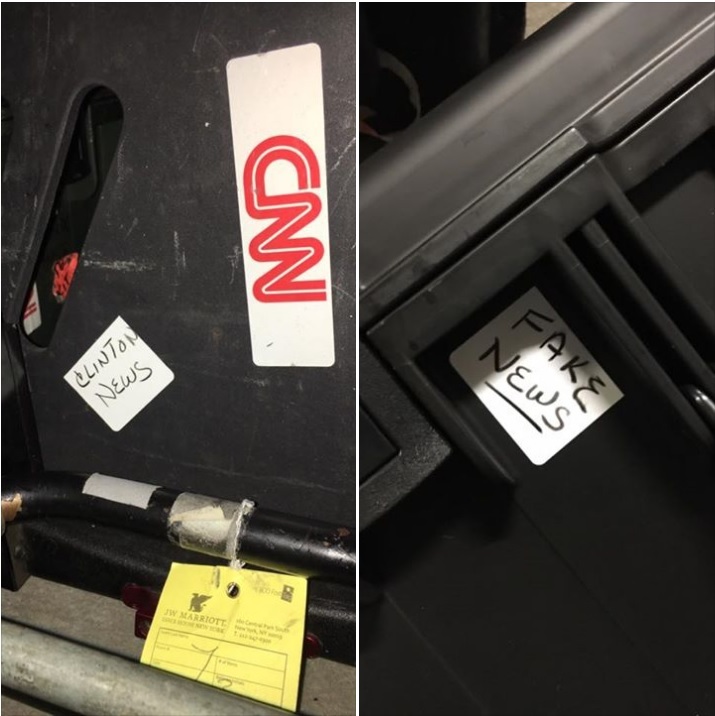 A CNN reporter picked up his luggage for a flight with Southwest Airlines. 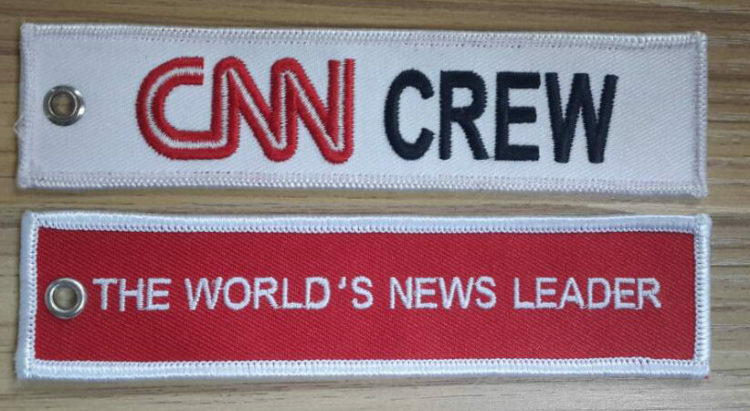 In addition to his ‘CNN’ sticker, others had been added as well. Ones saying ‘Fake News’ and ‘Clinton News Network’. First you laugh, then you cringe. At least the CNN guy laughed over it. Southwest, not so much… they are looking into the whole affair. I would imagine that if they find out TSA agents are behind this, their days of employment are numbered. Mark Walz called the Southwest Airlines headquarters and placed a complaint. You can hardly blame him, it’s an insult and the label of ‘Fake News’ should not be attributed to everyone at CNN, just as you wouldn’t do that to Fox News. Southwest Airlines apologized profusely and vowed to get to the bottom of it. I believe Southwest Airlines when they say they take it very seriously. They should. I know that’s not the popular stance, but it’s the right one. ***Update: I just got a call this evening from Southwest Airlines HQ and got an apology and assurances that they would look into this and while they cannot confirm it was their employees, they said they take this kind of stuff seriously. Thank you, Southwest! ???? Not only is it not right to label a whole network as fake news, it’s not right to label a journalist as only doing fake news. Each story stands on its own and should be judged as such. It is very dangerous to apply general labels. It comes back to bite you. I have issues just like everyone else out there with the reporting, or lack thereof, going on presently. But think… would you want to be labeled as something you found offensive when it wasn’t true or accurate? We need to not let our enthusiasm for a politician blind us to actual facts and reporting. I’m sure the person who did this has very strong negative feelings about the mainstream media. So do I… but doing this kind of thing is not only unfair, it borders on a torches and pitchforks mentality. Let’s just not go there, shall we? This is defacing personal property and it is criminal mischief.